Christmas and the end of Hanukkah are only a week away. You’re looking for a last-minute gift that’s guaranteed to arrive in time for the holidays. We’re here to help with a collection of top picks for Apple fans, all at great prices. Welcome to 9to5’s Last Minute Apple Gift Guide! All of the items featured in our Last Minute Apple Gift Guide are currently available to ship in time for holiday delivery. Some of the items are heavy, so if you like to shop at Amazon.com and aren’t yet using its flat-rate Amazon Prime two-day shipping service, now’s the perfect time to give it a try for free. Prime has more than paid for itself every year in shipping alone, and Amazon routinely adds great free videos, free streaming songs, and other perks that make the service great. We just reviewed – and loved – RAVPower’s recently-released two-port, four-port, and six-port USB wall chargers, which offer outstanding value if you need to recharge multiple iPads, iPhones, and iPods at once. They retail from $13 to $27, and each supports full-speed charging of even the power-hungriest iPad and iPhone models. 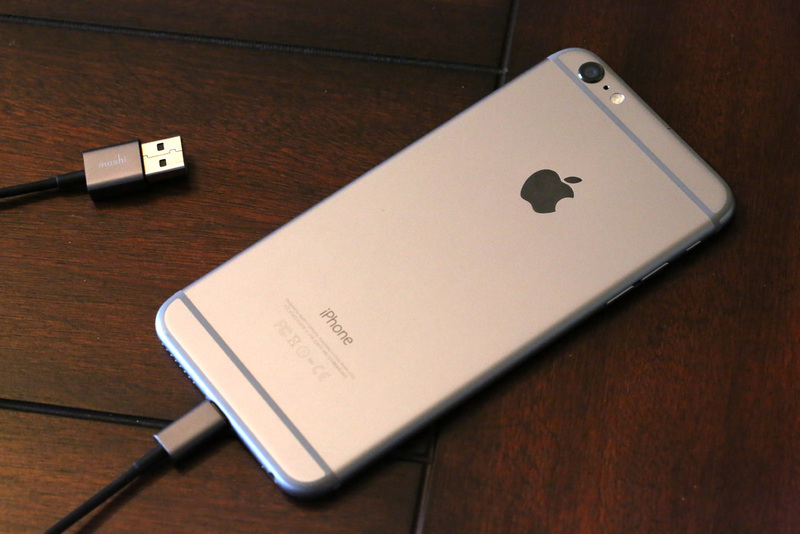 If you’re looking for a particularly nice Lightning cable for your home or car, Moshi’s USB Cable with Lightning Connector (review) combines great looks with metal-clad durability for $22. Cheaper Lightning cables like Amazon’s AmazonBasics models use larger and less case-friendly plugs, but sell for half the price. Buying a gift for a gamer? 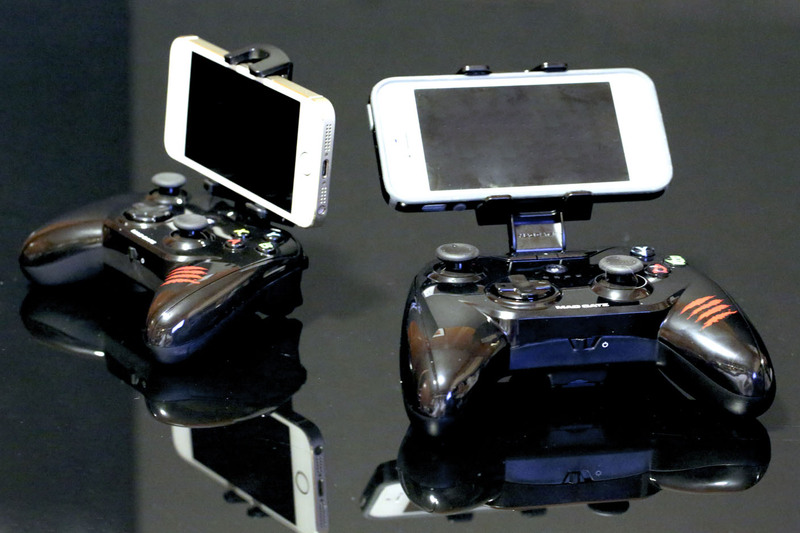 Mad Catz’ new $50 Micro C.T.R.L.i and $60 C.T.R.L.i game controllers are the best we’ve tested for iPhones, iPads, and iPod touches. The Micro version could fit in a large pocket, while the regular version is almost exactly the same size as an Xbox One controller. They both include detachable iPhone cradles. They’re selling out all over, but Rakuten (formerly Buy.com) has C.T.R.L.i for $53, while Mad Catz is currently selling the Micro C.T.R.L.i for only $40. Cases can also make great stocking-stuffers. A few of our favorite picks are Speck’s $28-$32 CandyShell Grip for iPhone 6 Plus and $21-$28 CandyShell for iPhone 6, Griffin’s $13 Reveal for iPhone 6 Plus, and Twelve South’s $60 leather-bound BookBooks for iPhone 6 and 6 Plus. 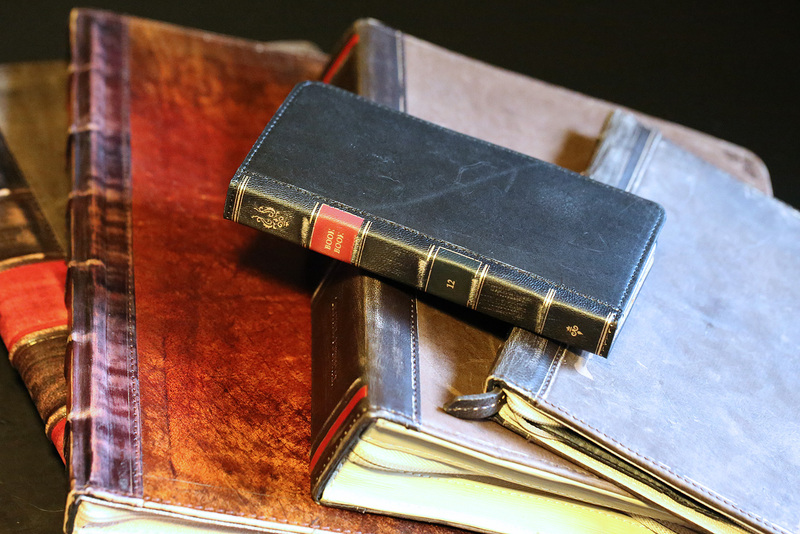 The larger iPad and MacBook versions of BookBook won’t fit in most stockings, but they’re beautiful. If you’re thinking big and want to buy something with an Apple logo on it, the best bang you’ll get for the buck is an iPad Air 2. We weren’t sure whether we’d be impressed by it, given how similar it superficially looks to the original iPad Air, but it’s meaningfully thinner and lighter, noticeably faster, and capable of making Touch ID online transactions. Our advice is to pick the 64GB or 128GB version rather than the very space-cramped 16GB base model. Best Buy, Target, and Walmart have all been jousting with brief deals on the Air 2. For young kids, the entry-priced original iPad mini or iPad mini 2 (with Retina display) are great choices, and available for much lower prices. 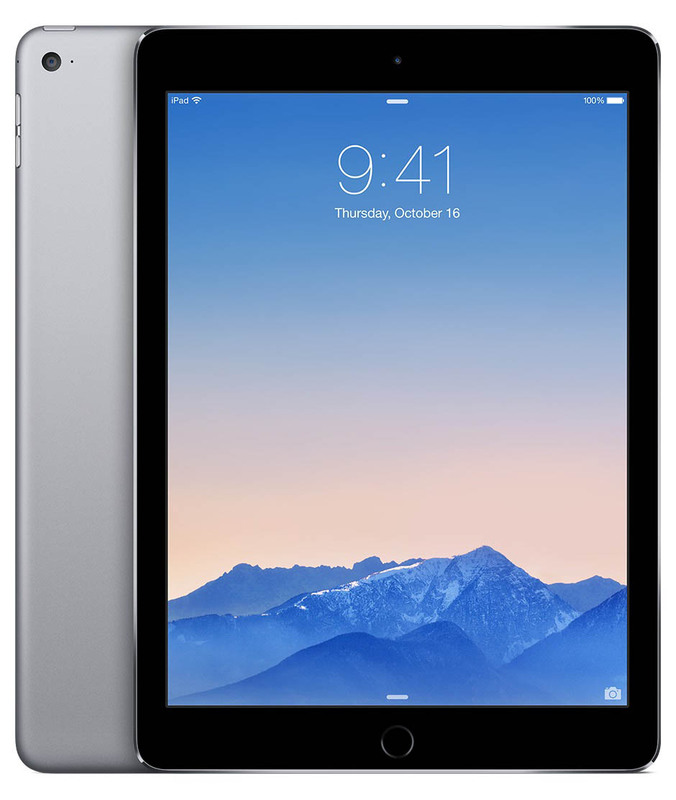 Skip the new iPad mini 3. 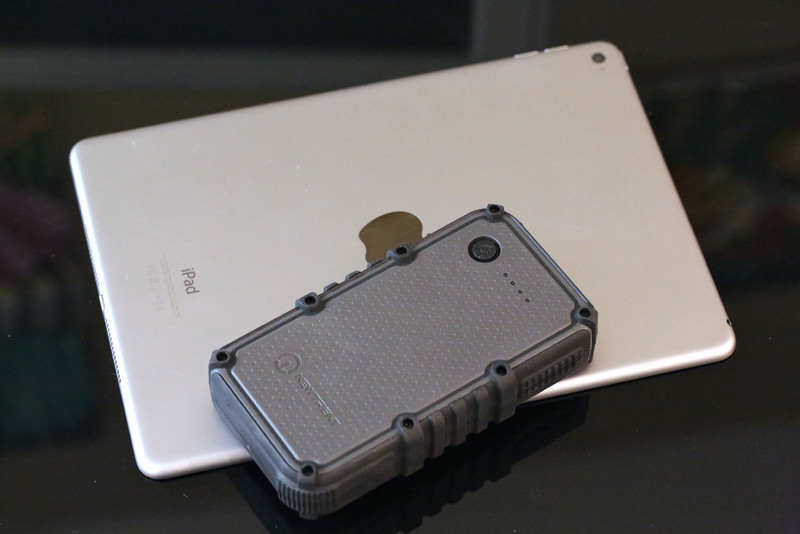 And seriously consider getting a LifeProof Fre ($50-$55) or OtterBox Defender ($60-$80) case to go along with it – an iPad inside one of those can survive virtually anything. Trust us, we know from experience. We covered the best Bluetooth speakers of the year earlier this week (and Bluetooth speakers offer the best value overall), but we didn’t discuss two less popular categories: AirPlay and Lightning speakers. AirPlay speakers are wireless — more expensive and typically fancier than Bluetooth models, but only compatible with Apple devices and computers running iTunes. Lightning speakers are surprisingly even less common, featuring built-in Lightning plugs and docks large enough for either iPhones or iPads. JBL’s OnBeat Mini has enough room to accommodate iPads, iPhones, and iPods in its large central dock, and sells for $90. 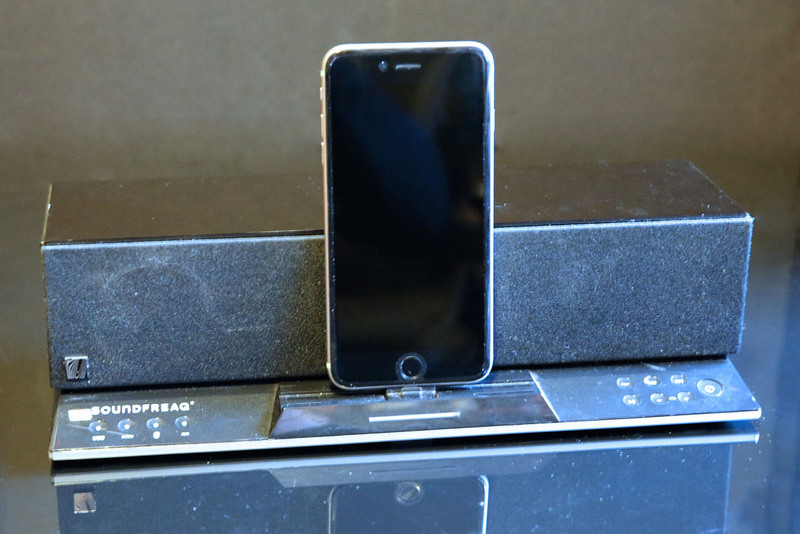 Soundfreaq’s Sound Step with Lightning Connector (shown above) can be had for $50 to $70 depending on the vendor, and has wireless functionality as a backup when you don’t want to dock your device. 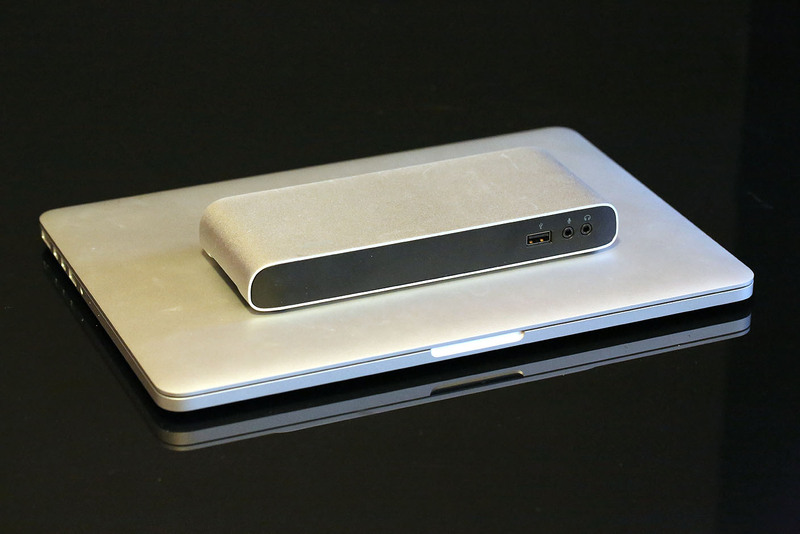 Both can charge your iOS device as well as performing audio. 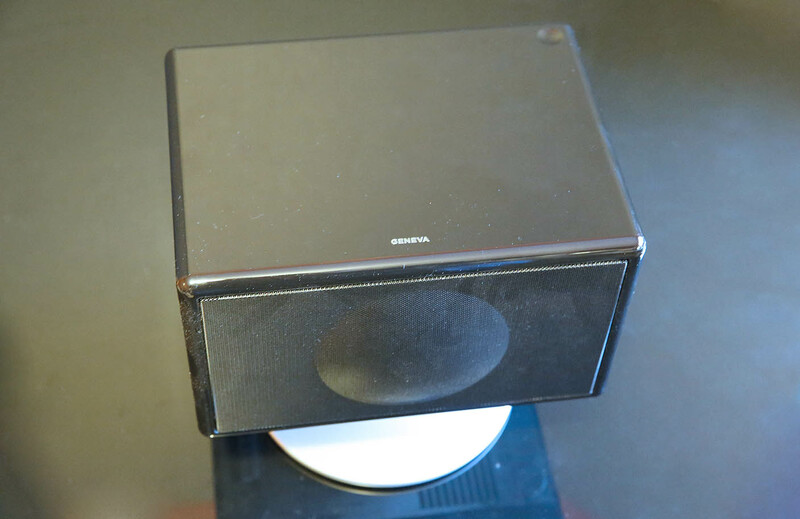 If you want to see what one of the best AirPlay speakers can do, Bowers & Wilkins’ A7 is a whopper, packed with four stereo drivers and a large 6″ Kevlar-reinforced subwoofer. For $800 (new, versus $700 used), you can expect powerful, audiophile-quality sound in a totally classy metal and fabric enclosure. 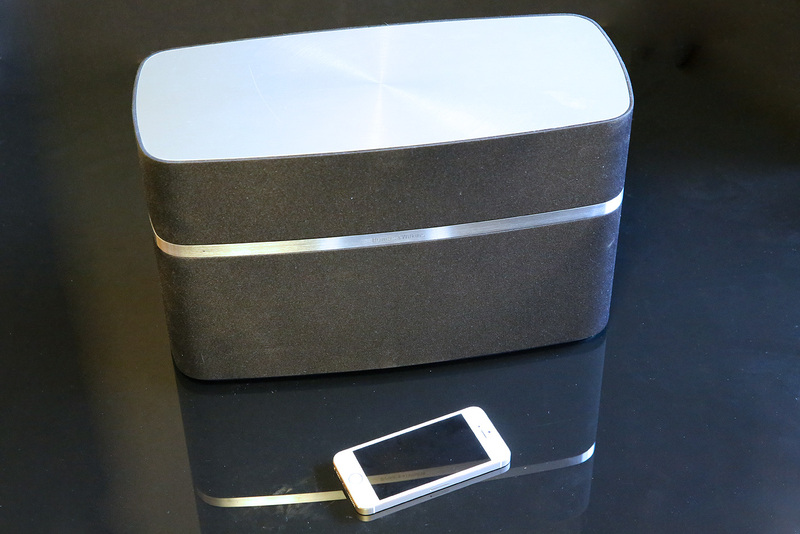 Most speaker companies have switched entirely to Bluetooth, though some (including Geneva Lab, maker of the Geneva Sound Model S, M, L, XL, and XXL speakers), are still offering older Apple 30-pin Dock Connector speakers alongside AirPlay and Bluetooth models. The beautifully piano-lacquered $300 Geneva Sound Model S is shown above, with the furniture-like $3,500 Model XXL as a flagship model with AirPlay and other features. Bringing a MacBook back to a desk full of cabled accessories is a hassle – unless everything’s already connected to one box, leaving you a single cable to make everything work with your laptop. That’s what Elgato’s Thunderbolt 2 Dock does (review), providing a one-cable connection to everything from a monitor to speakers, hard drives and a printer. If you have a newer Mac or MacBook with Thunderbolt 2 support, you may be able to drive a 4K monitor and super-fast peripherals using the Dock; for the same $230 price, it’s considerably improved over and every bit as compatible as its same-priced predecessor. Last but not least, here are a few of my favorite camera picks and accessories, all of which are available to ship in time for the holidays. They’re not strictly Apple products, but work with Apple products if you really care about creating great photos and videos. In an iPhone 6/6 Plus world, there’s not as much need to carry around pocket-sized cameras any more, but larger DSLRs are still light years better in image quality and low-light performance. 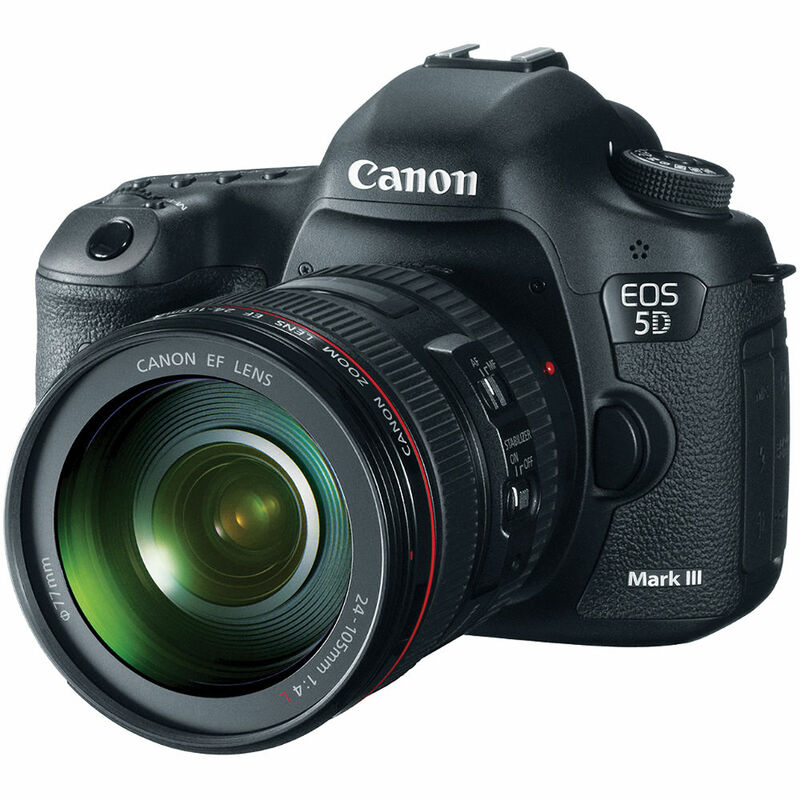 My favorite DSLR is Canon’s EOS 5D Mark III, which continues to be a very well-regarded all-around performer due to a combination of excellent full-frame still image quality, speed, cinema-quality 1080p video capabilities, and build quality. It’s not cheap at $2,800 after rebate, but a free accessory bundle will get you set up with a 32GB memory card, tripod, and starter backpack. As crazy as this sounds, I wouldn’t recommend anything below Canon’s $1,000 EOS 70D as a starter DSLR, with the $1,800 EOS 7D Mark II as a step up that’s better, but not up to the same image quality standard with the 5D Mark III. If you’re going to bother with a big camera as an alternative to the super popular, point-and-shoot iPhones, it needs to deliver a markedly better experience. Picking budget-priced lenses and camera bodies is the easiest way to moot the added investment and weight. High-quality DSLR lenses are expensive, but the results they deliver are astounding. My top two lenses are Canon’s 24-70 f/2.8L II ($1,849 after rebate) and 70-200 f/4L IS ($1,099 after rebate), the former a “walkaround lens” to capture everyday shots of people and events, the latter a powerful zoom lens for nature photography, visits to the zoo, and so on. The number of “perfect shots” delivered by these lenses justifies their prices; it’s impossible to put a price tag on all of the potentially great photos you’ve lost due to using lower-quality, slower lenses. If you want to import DSLR photos to your iPad, Apple’s $29 Lightning to SD Card Reader and $29 Lightning to USB Camera Adapter are both options. The iPad Air 2 is wicked fast at bringing in photos for editing; the iPad minis aren’t slouches, either. Most MacBooks have SD card readers built in, and they all have USB ports, so you won’t need any extra hardware besides the camera’s included USB transfer cable. 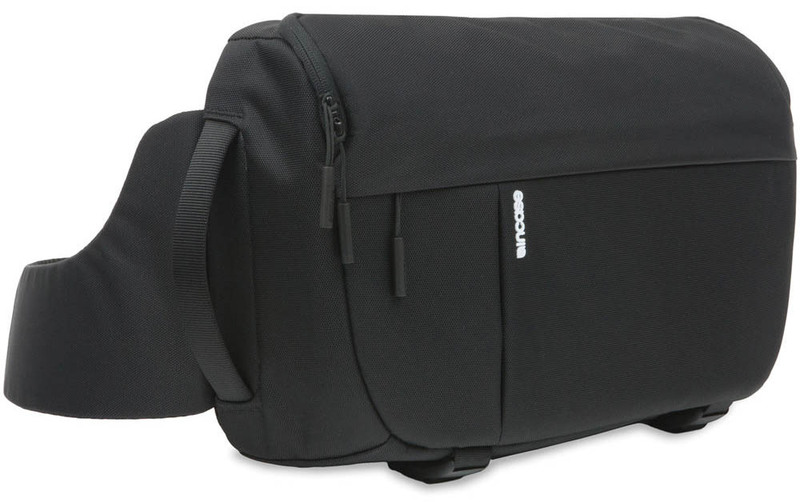 I’m a huge fan of Incase’s DSLR Sling Pack ($90) to carry everything around. It has enough room for a DSLR, three lenses, batteries, cables, and either an 11″ MacBook Air or any iPad. (You can squeeze a 13″ MacBook Air or 13″ Retina MacBook Pro uncomfortably inside, but I wouldn’t recommend it.) The bag is incredibly easy to carry, sectioned-off for camera gear, nicely padded, and very resilient. I’ve used mine for years without a hiccup. Need more picks? Check out my earlier holiday gift guide for Mac, iPhone, and iPad gear, which is packed with great options from earlier in the year. Happy holidays!